 Peruse our photo gallery to discover the unique lifestyle available at Rivercrest Meadows. Contact us today! Scroll through photos of our thriving vibrant community at Rivercrest Meadows in Tualatin, Oregon! Our leasing office welcomes you to your future home! Unwind in the clubhouse fully equipped with comfortable seating, business center and a state-of-the-art fitness center. As you can see from the pictures above quality of life is important. We believe that our apartments will be a place you are proud to call home. Continue scrolling through our apartment interior features such as spacious designs, modern kitchens, bright open bedrooms, in-home washer and dryers and updated bathrooms. Our Tualatin rentals have the perfect blend of comfort, style and home. Call and schedule a personal tour to see our apartments for rent today!